Hello, everyone! 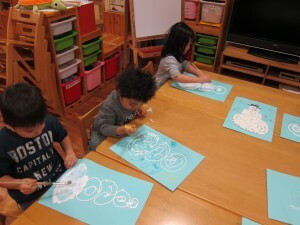 Last week our preschoolers were celebrating snowy days! 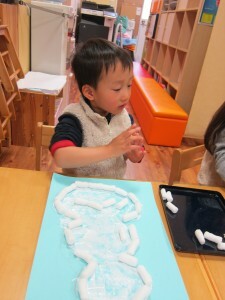 Yes we could not play outside for too long because of the snow, then rain, then wind. 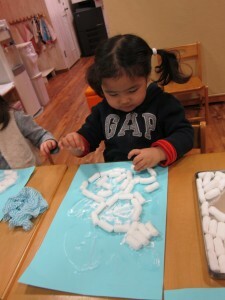 But no one was complaining, there are plenty of things to get busy with in our classroom! 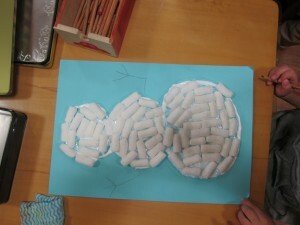 Look at this lovely and by the way recycled snowman craft! It took us an hour to make one each, but nobody has noticed how the time went! 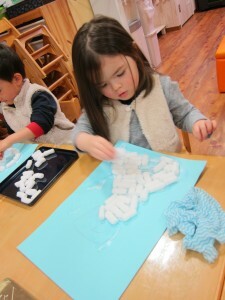 Our two-year-olds were using their fine motor skills like never picking up little styrofoam pieces and putting them in places. We used white and glitter glue, we drew with crayons and pencils, we used sticker for eyes and buttons, and even wrote our names! True winter fun! 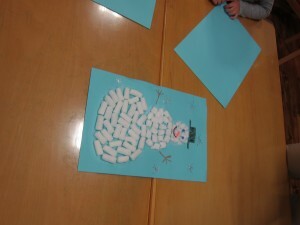 I thank Sybrina for a wonderful snowman she made to inspire our preschoolers to create! I enjoyed our first week working together! See you at school!